If you or your spouse served in the military and would like to fund your small business, you can take advantage of a few different favorable loan options geared towards veterans. VA loans, or SBA 7(a), SBA Express and Military Reservist Economic Injury Disaster (MREIDL) Loans, are actually loan guarantees made available from the Small Business Administration (SBA) to veterans or soldiers or their wives or widows who are going off to serve in the military or who have returned from their military service. These loans do not actually originate from the VA or Veterans Administration. The Small Business Administration has an Office of Veterans Affairs that oversees business loans to veterans. These funds are not provided as grants. They are standard loans that require repayment, with an interest rate attached. The SBA provides three types of VA loans. First, there is the SBA Express Loan Initiative for veterans. This program is also open to non-veterans, but the SBA has a Veteran's Advantage program that waives all upfront loan guaranty fees for veterans who qualify for this loan. Veterans can borrow up to $350,000. Second, the SBA's 7(a) loan program provides up to $5 million in funding, again for both veterans and non-veterans. However, the Veteran's Advantage program applies to this loan as well, providing upfront guaranty fees of zero for loans of $125,000 or less, and a 50-percent reduction of guaranty fees for vets that borrow amounts greater than $125,000. The SBA also provides counseling and training to go along with its loans to give borrowers support in their business ventures. The third type of business loan is the MREIDL or Military Reservist Economic Injury Disaster Loan. This loan provides working capital to businesses that could have met their obligations and continued to meet their obligations had their principal owner not been called up for military service. All active military personnel, veterans, service-disabled veterans, and their current spouses or widows are eligible for these loans. Veterans who received a dishonorable discharge are not eligible for the loan programs. If you are active duty personnel within 12 months of separation or a retiree within 24 months of retirement, you can qualify for the SBA Express Loan Program. Reservists and National Guard are also eligible as well. The business must be at least 51-percent owned by a qualified veteran according to the definition above. Most businesses meet the eligibility requirements, as long as the company is not a pyramid scheme, gambling business or lending business. Also, the business must be a for-profit business. Non-profits are not eligible. What Can the Loan Proceeds Cover? The proceeds of an SBA Express or 7(a) loan can be used for most business purposes. For example, you can add working capital into your business, cover start-up costs for a new business, purchase equipment, buy real estate for your business to occupy, buy inventory to sell, hire business management, expand your business, set up to sell goods and services to the government (contracting), set up your business for the possibility of your deployment, and recover from declared disasters such as hurricanes, tornadoes, and earthquakes. The amount of money you can borrow depends, to some extent, on the lending institution you go through. You may qualify for a larger loan, but the SBA will only provide a guaranty for loans up to certain loan limits. The SBA 7(a) program provides a guaranty of 85 percent of the amount borrowed up to a maximum of $150,000, or a 75-percent guaranty of the amount borrowed between $151,000 and $3.75 million. SBA Express loans receive a 50-percent guaranty. The government's Small Business Administration does not actually loan the money to veterans. Lending institutions like banks or credit unions make the loans. The federal government guarantees your loan. If your loan is less than $25,000, you do not have to have collateral. If it is between $25,000 and $350,000, the lending institution may require collateral. Your interest rates will usually range from 2.25% to 4.75% over the current prime interest rate. You can always try to negotiate a lower interest rate with your specific lender. 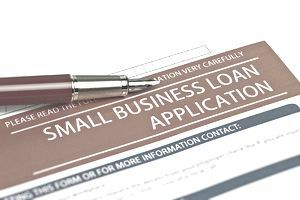 If you need help finding a lender, the Small Business Administration has local offices in every state that can help you, or you can check this list of their local offices. When an essential employee to the business is called up for active duty in the military, a business becomes eligible for an MREIDL loan. The purpose of this loan is to provide for the business's necessary expenses that cannot be provided for because the essential employee is not present in the business. The purpose of this loan is not to replace lost profits. The purpose is to cover financial obligations and replace working capital so the business can survive. Before an MREIDL loan is granted by the Small Business Administration, federal law requires that they investigate whether or not the business has the resources to recover on its own after the essential employee returns. If not, then the business is eligible for the loan. The SBA has determined that about 90 percent of the businesses applying for this loan cannot recover on their own. The interest rate on the MREIDL loan is 4 percent. The maximum term of the loan is 30 years, though that depends on individual circumstances as does the amount of the loan. The MREIDL loan usually has a maximum amount of $2 million, but exceptions may apply depending on the amount of economic injury to the business due to the active duty call-up of the essential employee. Collateral is required if available as well as good credit. Business insurance, including flood insurance if indicated, is required for the life of the loan.